These days, our computers are our best friends -- there’s no doubt about that. It’s likely that we’ll spend hours browsing the web or typing away at an essay for class every day. However, with so much time being spent on our computers, looking at the same thing over and over again can start to get really boring. This is why it’s so much fun to do tons of different things to spice up the look of our desktop -- all just by switching our wallpaper! Our desktop wallpaper can emit a soothing mood to relax us while we prepare for hours of study; it can reflect our style and serve as a visual inspiration booster in times of need. Of course, there are tons of wallpapers available on the internet -- some of them lacking in quality. Here, you’ll find some of the most trustworthy sites out there, all with the best quality wallpapers you can find. The images are crisp and clean and most of all, diverse enough for every taste! 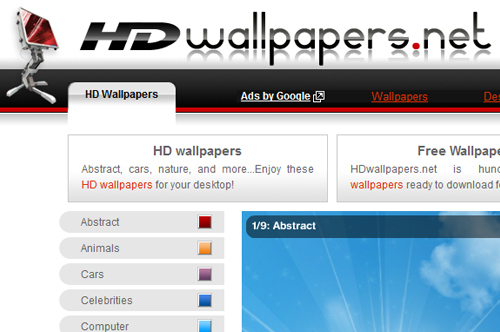 HDWallpapers.net provides, as the domain name suggests, high-quality HD wallpapers in some different categories. While the categories are diverse, there isn’t a huge number of wallpapers to choose from. However, within the categories that the site does provide, the photos are outstanding. Every one of the images is very crisp and a real treat to the eye. My favorite categories to browse through are Animals, Nature & Landscapes and Travel sections. Of course, the Cars section has some top-notch images -- if automobiles are your thing, this site is the place to be! 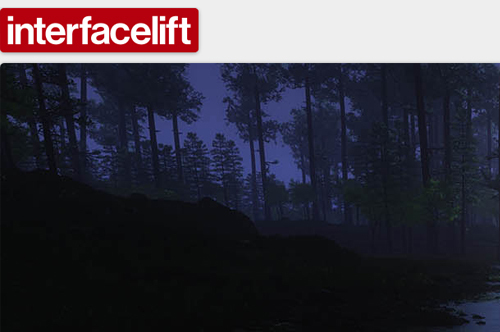 InterfaceLIFT is an absolute must for those looking for a spectacular nature/landscape wallpaper for their desktop. The site has some very useful tools for filtering through different screen dimensions, and even provides some mobile options (iPad and iPhone). The images are breathtaking on this site, and they feature some of the most beautiful scenery in the whole world. The high-quality images also allow their beauty to be appreciated on any sized screen. Whatever you’re looking for, Wallbase is bound to have it. There are a few images that aren’t as high-quality as others, but for the most part, the wallpapers are phenomenal. There are quite a few anime and game wallpapers available, as well as plenty of other options. 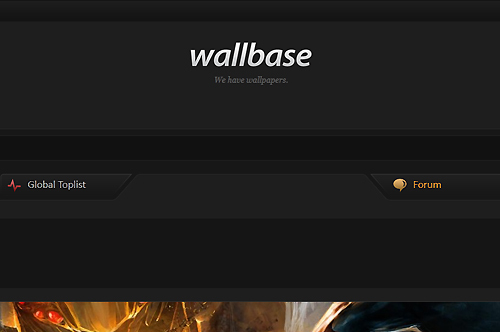 Not much more can be said about Wallbase -- it’s got pretty much everything out there all while looking great. Flickr is always a wonderful resource for great photos. If you know where to look, it can provide some really great desktop wallpapers, too! All you need to do is find a wallpaper group where members pool together their own images to contribute to the whole. Here and here are some of the largest wallpaper groups on Flickr to find whatever might suit your fancy. The greatest thing about it is the fact that the photos are shot by individuals using the site, so a lot of the images are super unique, and there might not be another one like it out there! 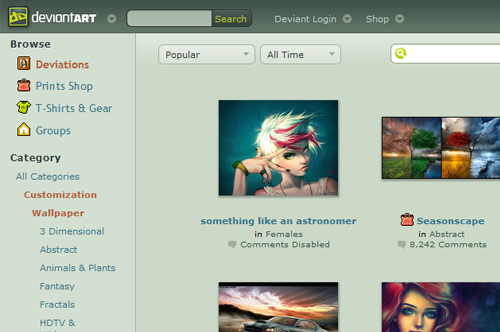 Last but not least is DeviantArt. It isn’t just a mecca for amazing artists. Well -- it is, but that only makes for some really special wallpapers. Whether it’s traditional, digital, photography or any other method you can imagine, there’s a style for everyone. DeviantArt has a section for user-made wallpapers, and all of them are the best of the best in their respective categories. Perhaps it’s because I’m very fond of the Science Fiction category, but DeviantArt is undoubtedly one of the best places to check out when looking for the perfect wallpaper. The internet is full of fantastic images, and new content is being created every day. 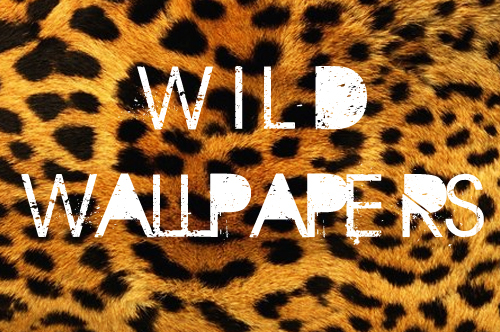 These are only some of the best sites to start your wallpaper collection. No matter what you’re trying to accomplish with your desktop background, there is an image to help you do it. Don’t be bored with your computer any longer -- grab some cool, new wallpapers, and bring some excitement back into your digital life!